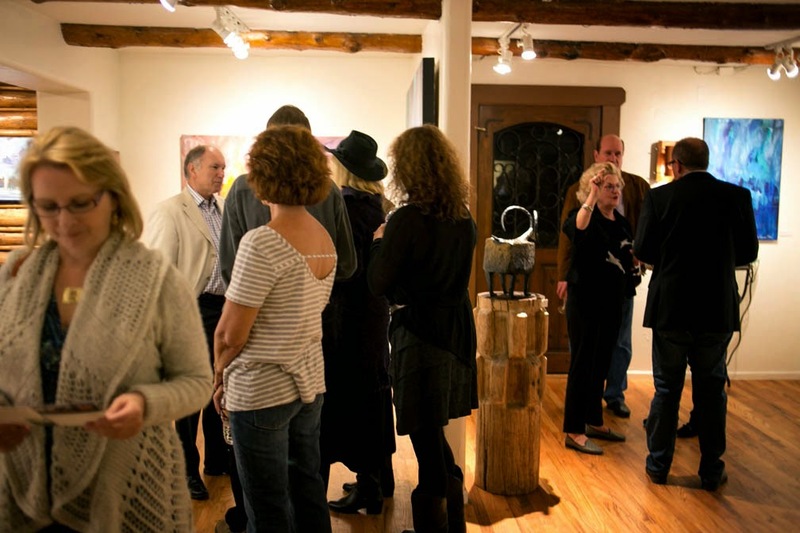 On Saturday night, December 6th, Mirada Fine Art will celebrate it's fifth anniversary with a large party at the gallery from 6-9pm. We'll be unveiling the works of two brand new artists for Mirada: Javier Lopez Barbosa and Tom Matucci. 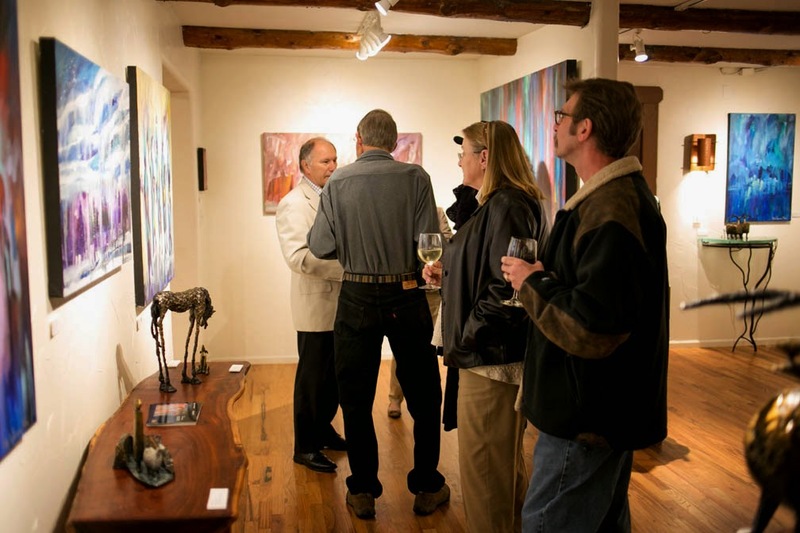 Javier, from Santa Fe, NM, and Tom, from Chicago, IL, are nationally acclaimed artists and we are absolutely thrilled with the addition of their stunning artwork. 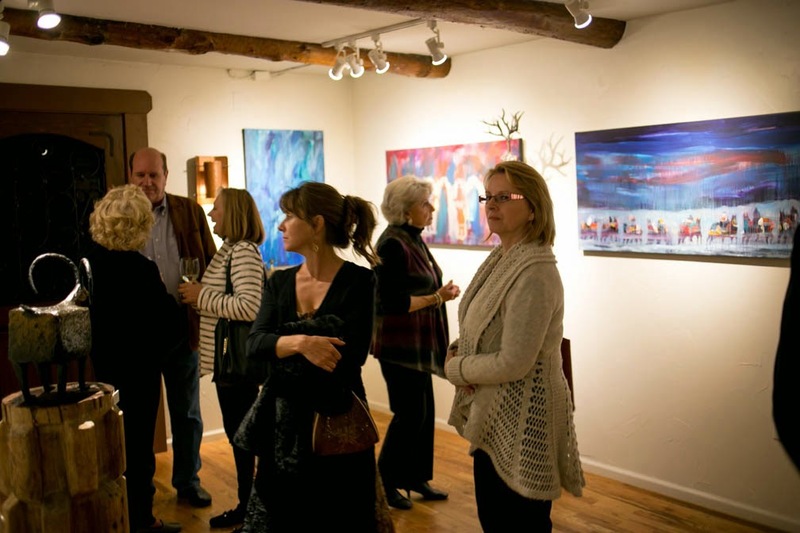 We'll also have new artwork from many of our 'Mirada Favorites' including Larisa Aukon, Svetlana Shalygina, Laurie Justus Pace, Lyudmila Agrich, Jennifer Yoswa, and many more! 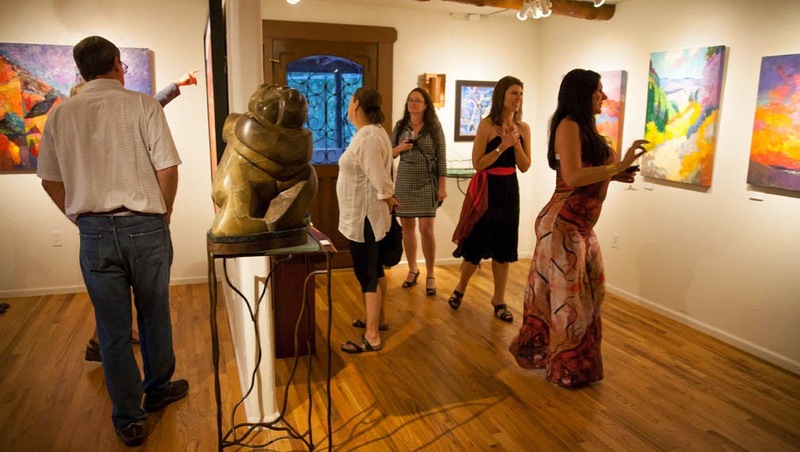 Live music for the event will be provided by Denver artist, Branden Sipes. If you can make it to the celebration, we hope you can join us! 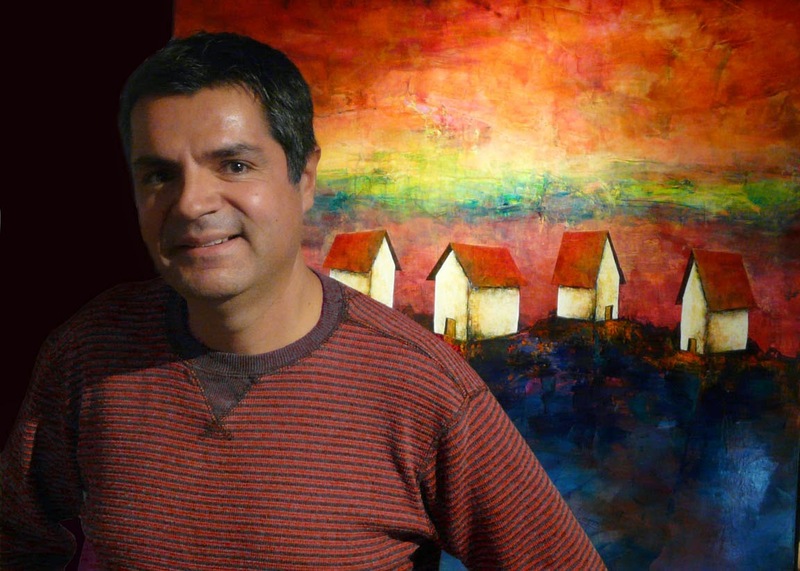 We are truly pleased to introduce another remarkable artist to the Mirada family: Javier Lopez Barbosa. 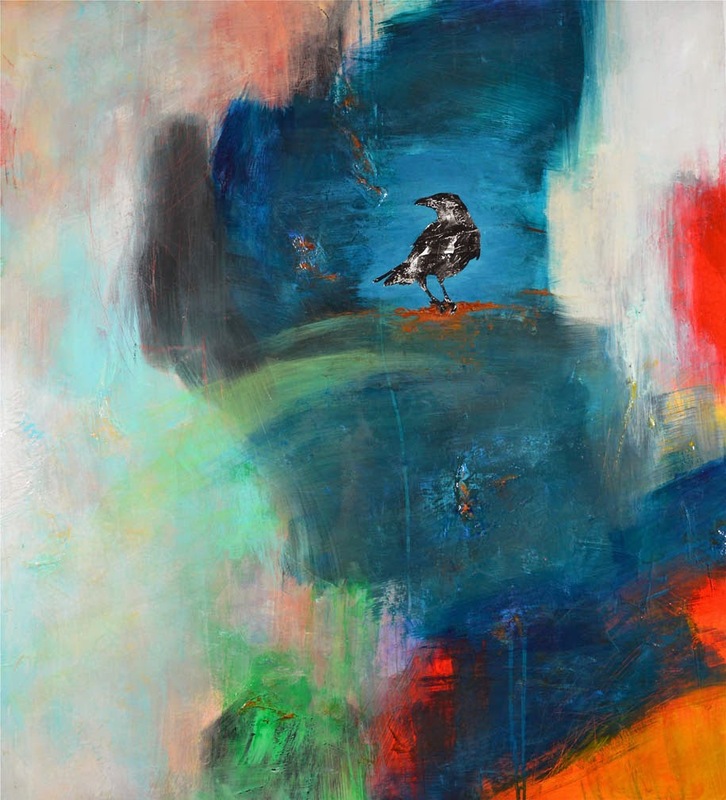 As a child growing up in Mexico, Javier Lopez Barbosa was surrounded by vibrant color and music. The energetic culture profoundly impacted him and from a very early age awoke his artistic sensibilities. Javier remembers feeling a visceral need to have in his possession a box of crayons, colored pencils or watercolor paints. As a shy little boy coloring was a way to express himself to the world – and it remains his most comprehensive means of expression. 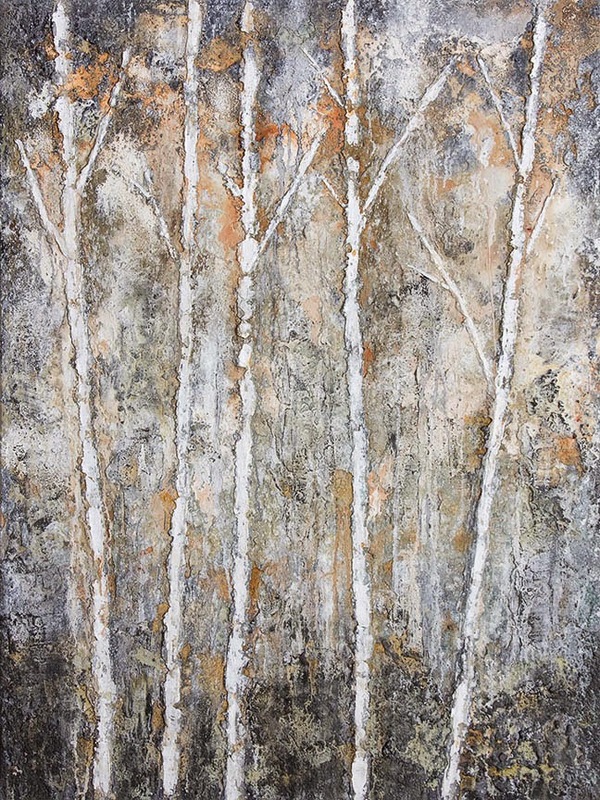 Javier Lopez Barbosa at Mirada Fine Art, La Villita, Mixed Media on Canvas, 46" x 44"
Javier rarely approaches a canvas with a definitive idea of what will emerge. He starts with the first color that comes to mind, and from there allows his ‘inner child’ to take over and set the course of the painting. And while the initial emotion and motivation is childlike, Mr. Barbosa’s technique is far from it. 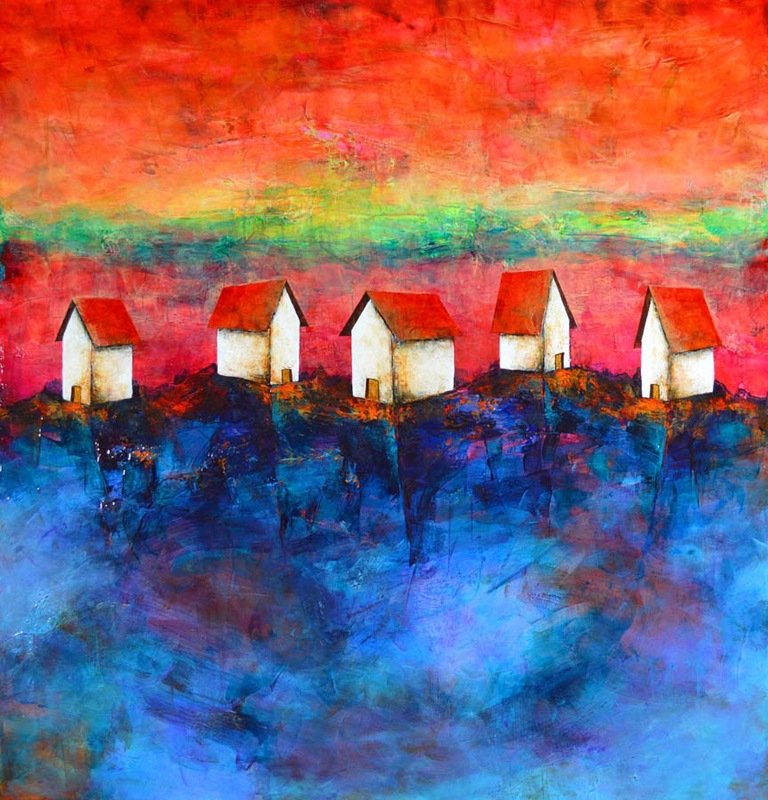 A highly original painter with an impressive arsenal of technical ability, Barbosa skillfully plays with the effect of color and intrinsic light. 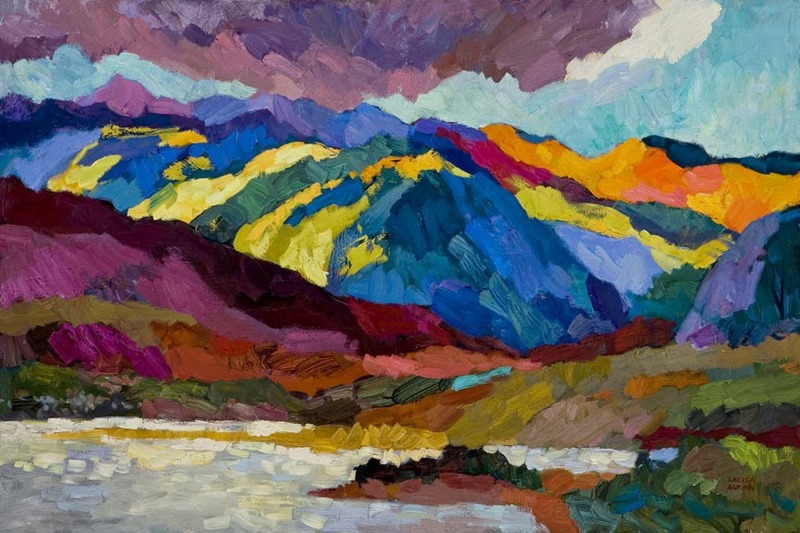 He uses an array of medium, forms and textures to produce contemporary expressionistic landscapes brimming with visual depth. 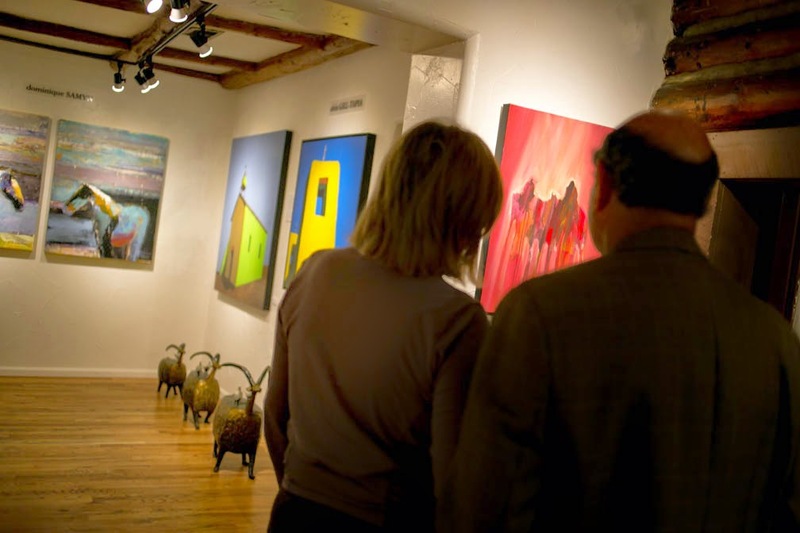 While the artist’s work has been embraced by enthusiastic collectors and met with tremendous success, the most rewarding achievement to Javier is when his work is viewed, and coaxes a smile from the viewer. 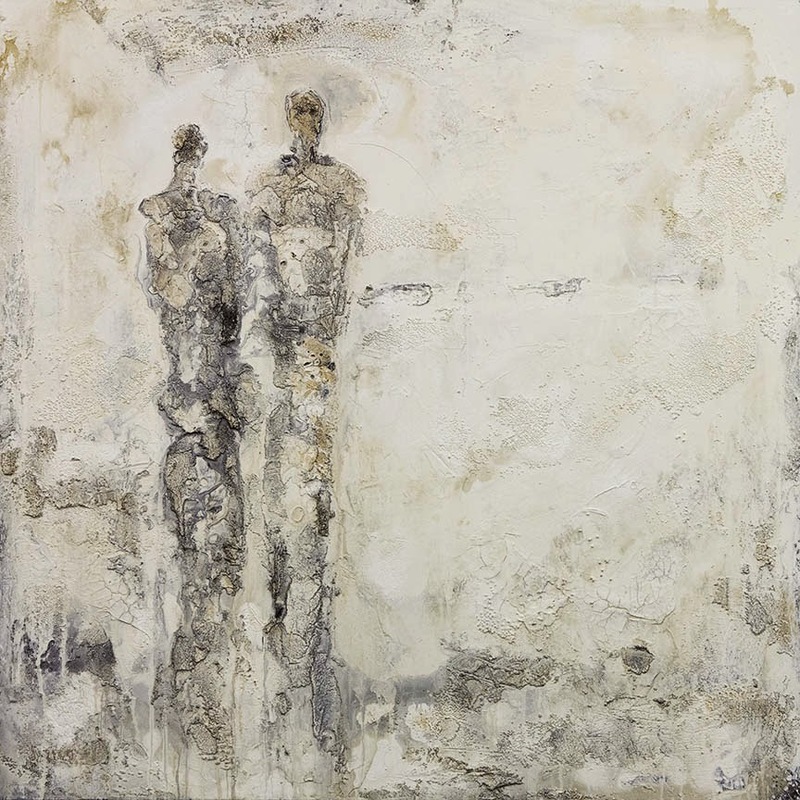 Javier Lopez Barbosa at Mirada Fine Art, Pride, Mixed Media on Canvas, 40" x 36"
We hope you will visit Mirada Fine Art soon and see Javier's remarkable work in person...photos truly don't do them justice. 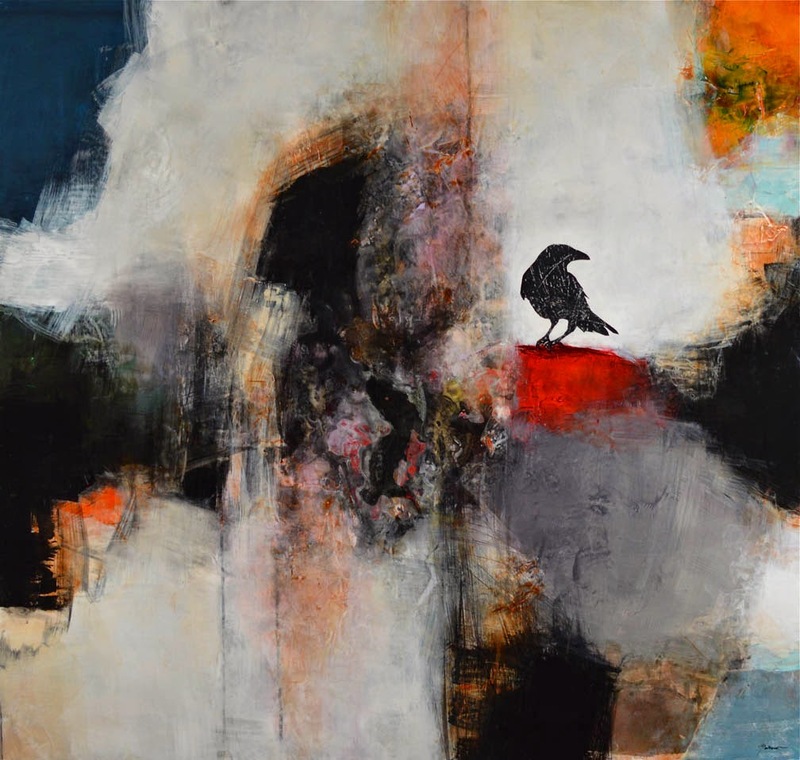 Javier Lopez Barbosa at Mirada Fine Art, La Canada, Mixed Media on Canvas, 44" x 42"
Javier Lopez Barbosa at Mirada Fine Art, Wisdom, Mixed Media on Canvas, 40" x 42"
Javier Lopez Barbosa at Mirada Fine Art, Serenity, Mixed Media on Canvas, 36" x 40"
We are absolutely thrilled to introduce Mirada Fine Art's newest artist, Tom Matucci. 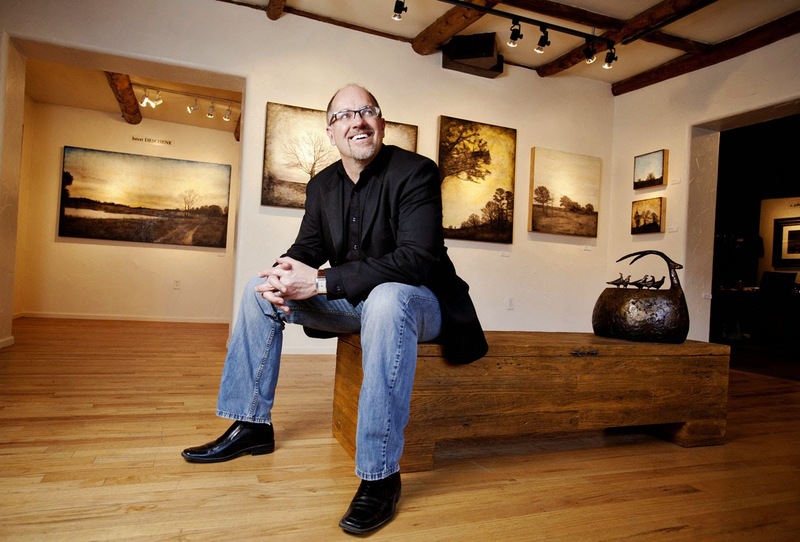 Tom Matucci at Mirada Fine Art...trees never looked so good! 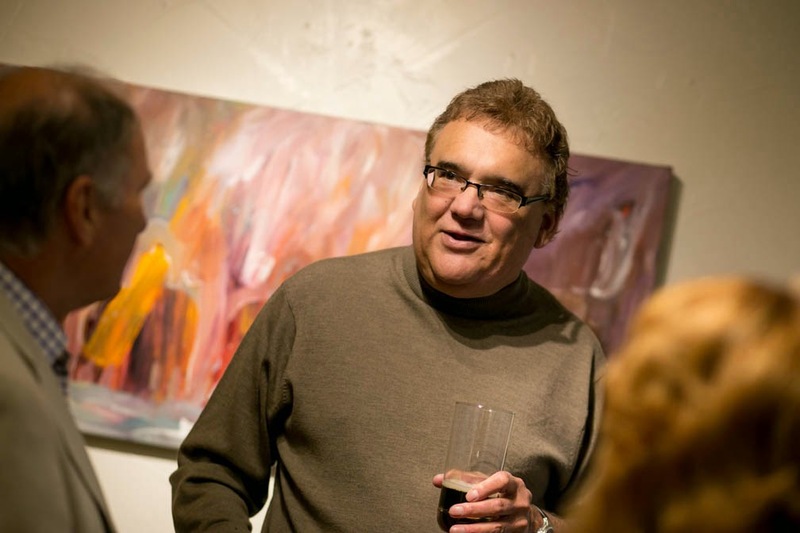 Born and raised in New York City, Tom Matucci is now a full time resident of Chicago. Although often surrounded by an urban landscape, Matucci is inspired by nature, as well as ‘everyday life’ subject matters that are often overlooked by most of us. 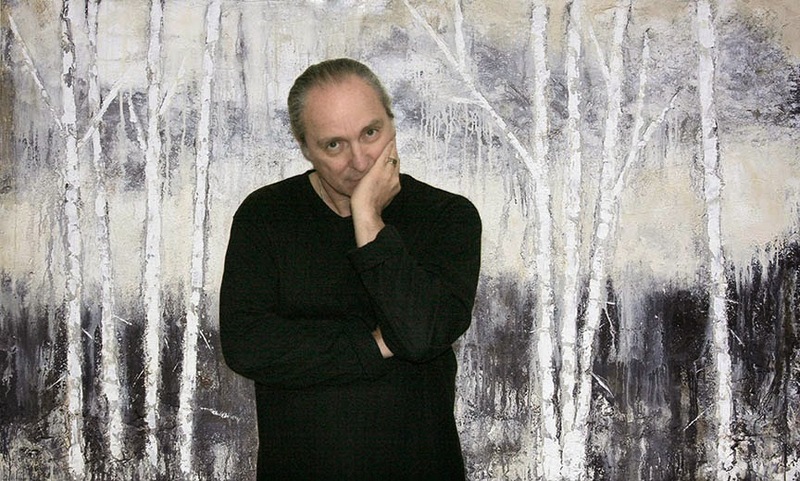 Known for his richly textural work, he has spent over two decades developing a technique of manipulating paint and organic materials, resulting in a unique and exquisite fusion which pushes the boundaries of ‘traditional’ painting. 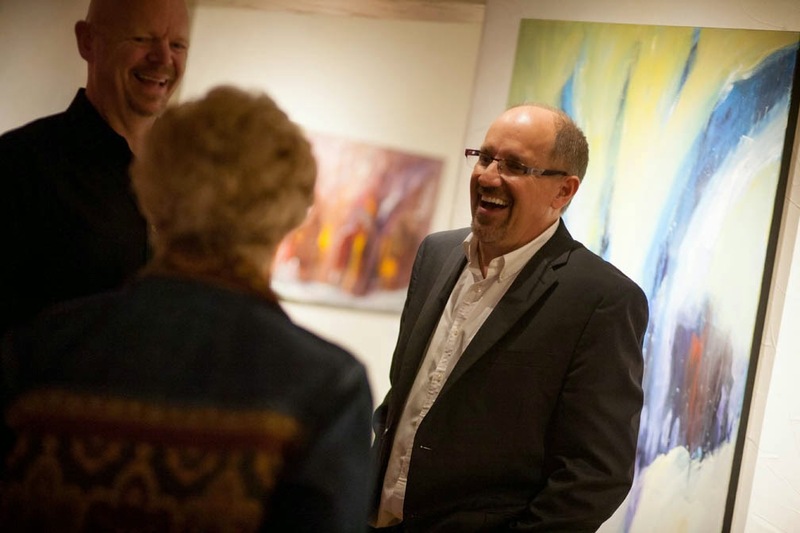 Tom Matucci at Mirada Fine Art, Alberi 6454, Mixed Media on Canvas, 36" x 48"
Balancing abstraction and representation, Mr. Matucci’s work is dynamic and powerful while simultaneously quiet and mood-evoking. 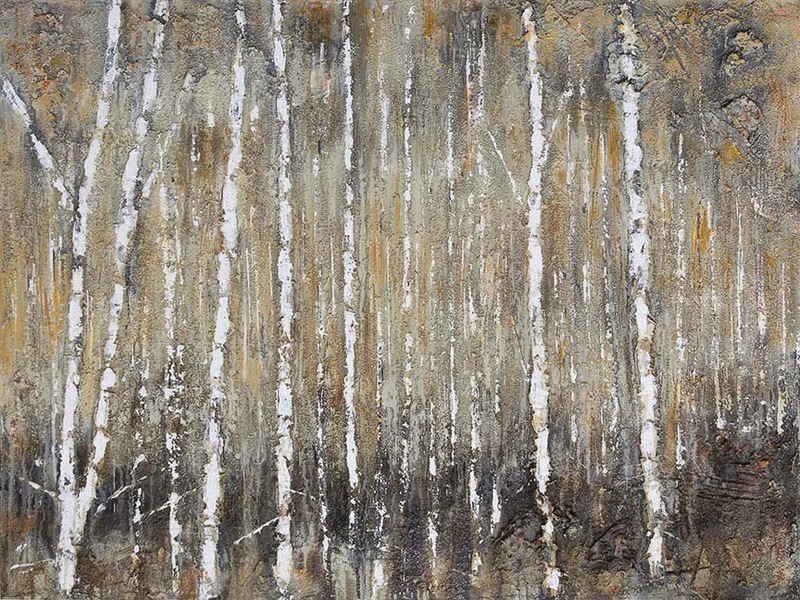 His paintings have been called dimensional poetry, telling a textural story open to each viewer’s interpretation. 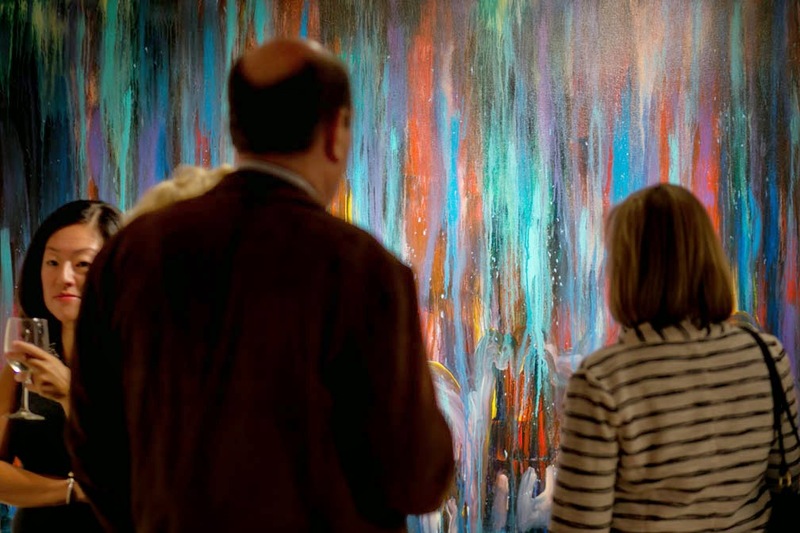 Never knowing where a painting will ultimately end up, the artist uses the process itself to guide him. 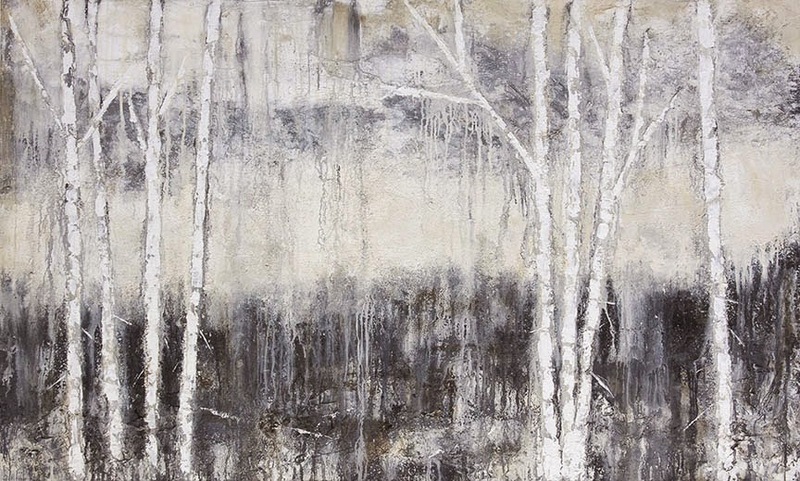 The organic nature of his artwork appeals not only to our sense of sight, but also to our sense of touch. 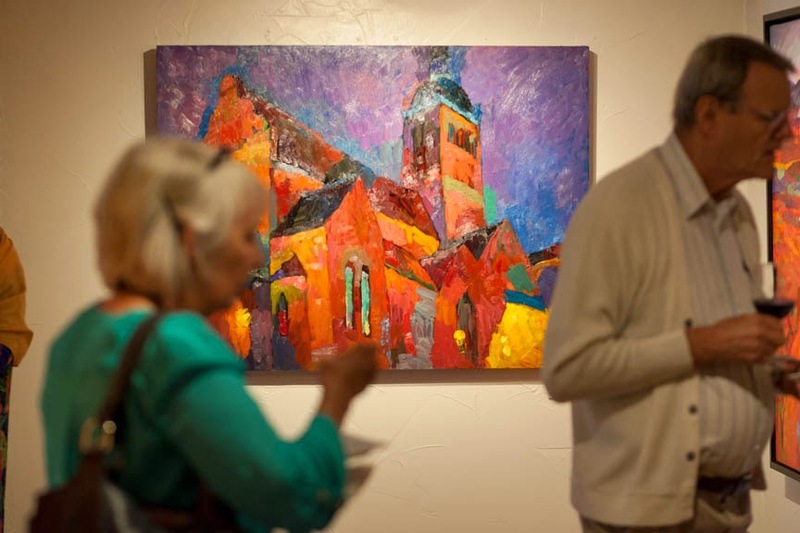 Tom Matucci at Mirada Fine Art, Alberi 6458, Mixed Media on Canvas, 36" x 60"
Tom has been featured in group and solo exhibitions across the country. 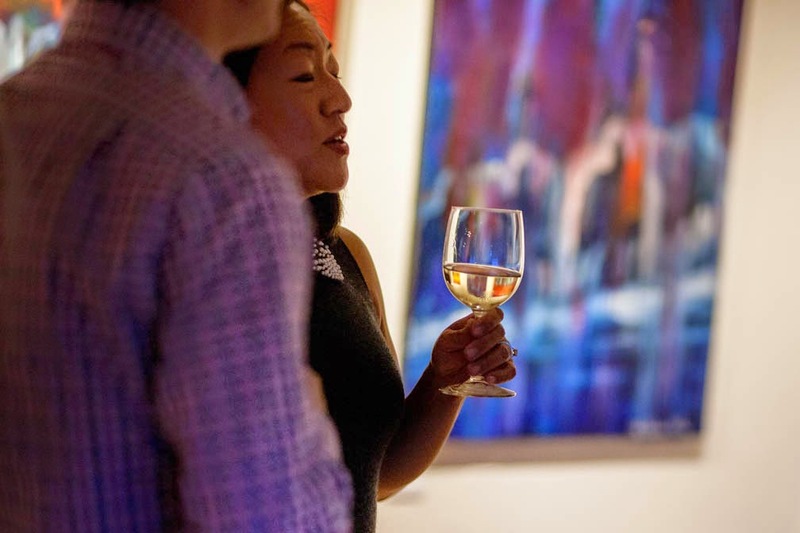 His collectors, both private and corporate, span the globe ­— from Napa Valley to Boston, Paris to South Africa. 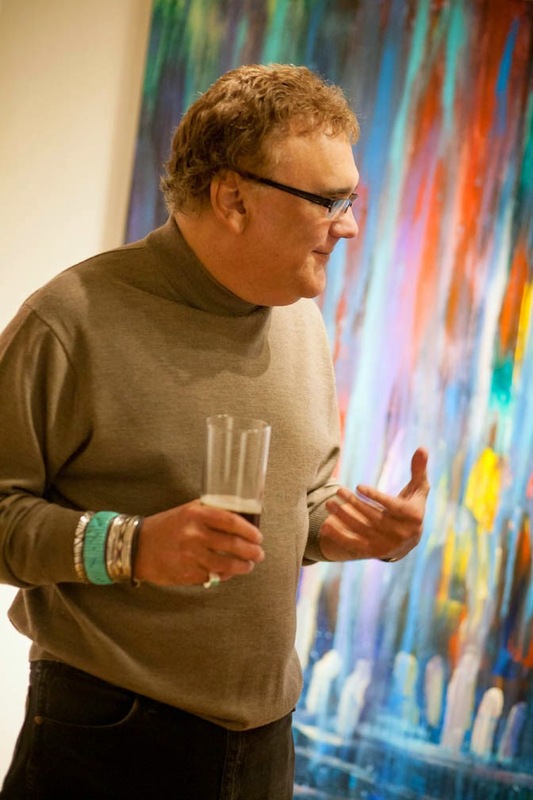 And while he enjoys sharing his artistic perception of the world with widespread viewers, his greatest pleasure is derived from the individual joy each viewer experiences with his paintings. 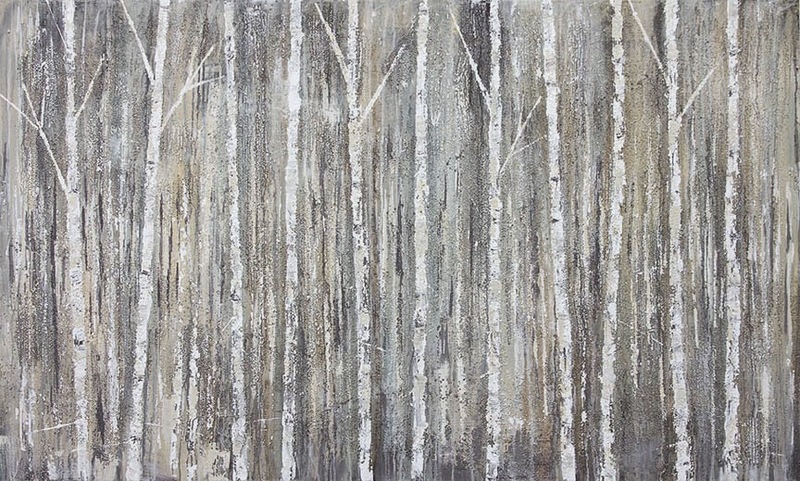 Tom Matucci at Mirada Fine Art, Alberi 6453, Mixed Media on Canvas, 48" x 36"
Tom Matucci at Mirada Fine Art, Figurato 6464, Mixed Media on Canvas, 36" x 36"
Tom Matucci at Mirada Fine Art, Alberi 6456, Mixed Media on Canvas, 36" x 60"
Larisa Aukon at Mirada Fine Art. 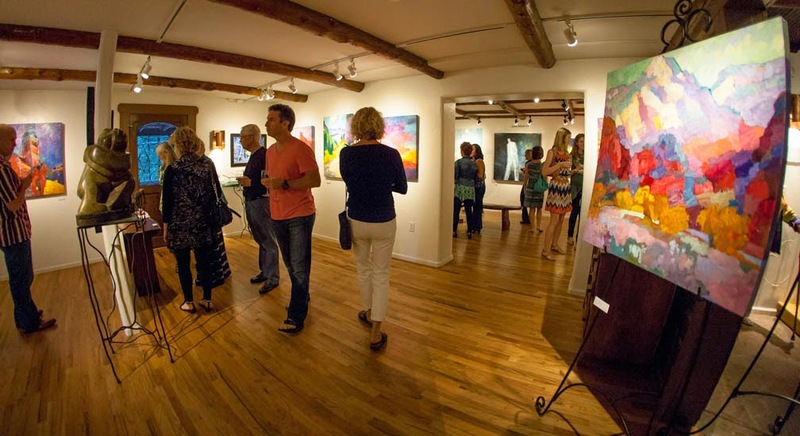 Larisa Aukon’s ‘color of LIFE’ exhibition began with an absolutely amazing opening reception at Mirada Fine Art. 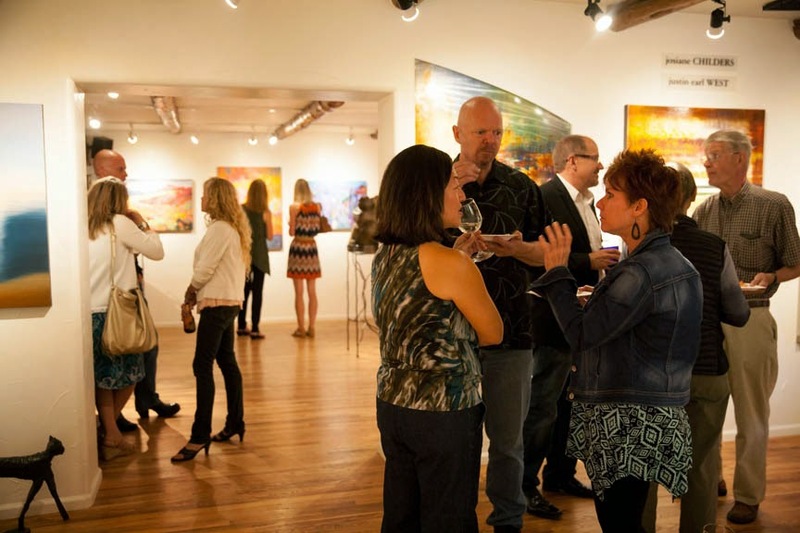 Below are some photos from this wonderful evening as Larisa unveiled her newest body of work. 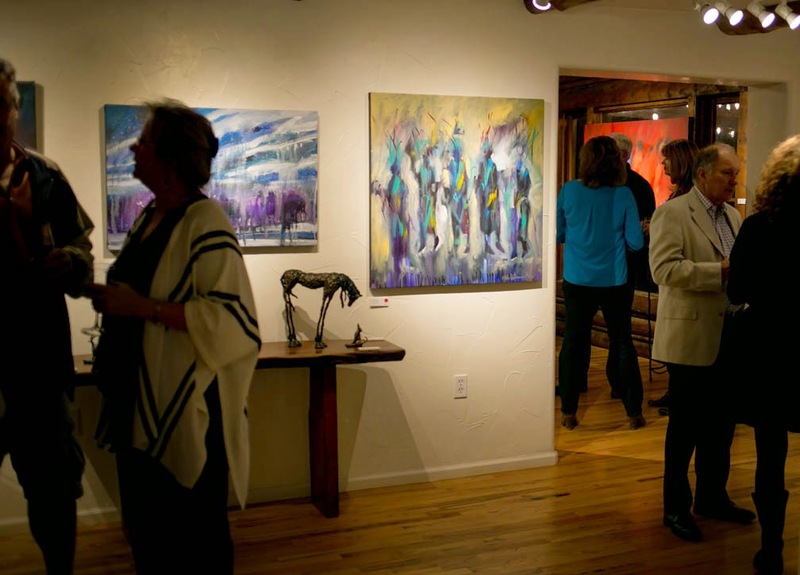 Larisa Aukon unveils her newest paintings at her 'color of LIFE' exhibition at Mirada Fine Art. 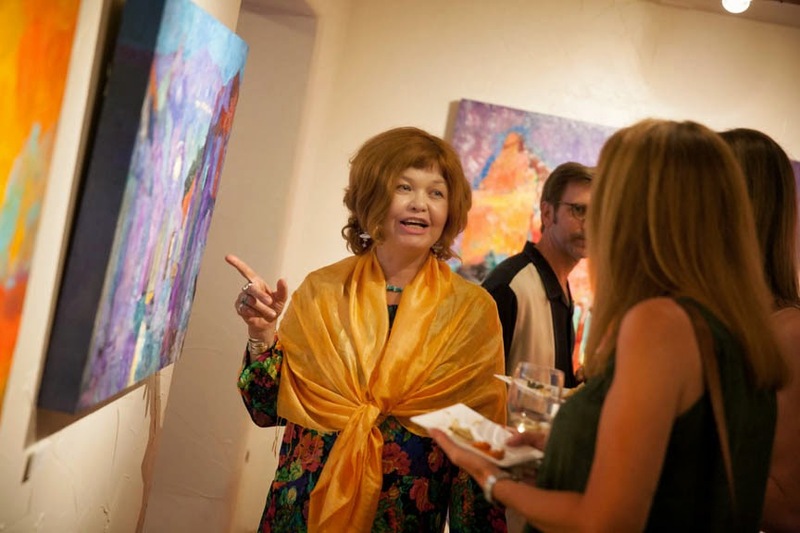 Larisa Aukon at the opening reception of her 'color of LIFE' exhibition at Mirada Fine Art. 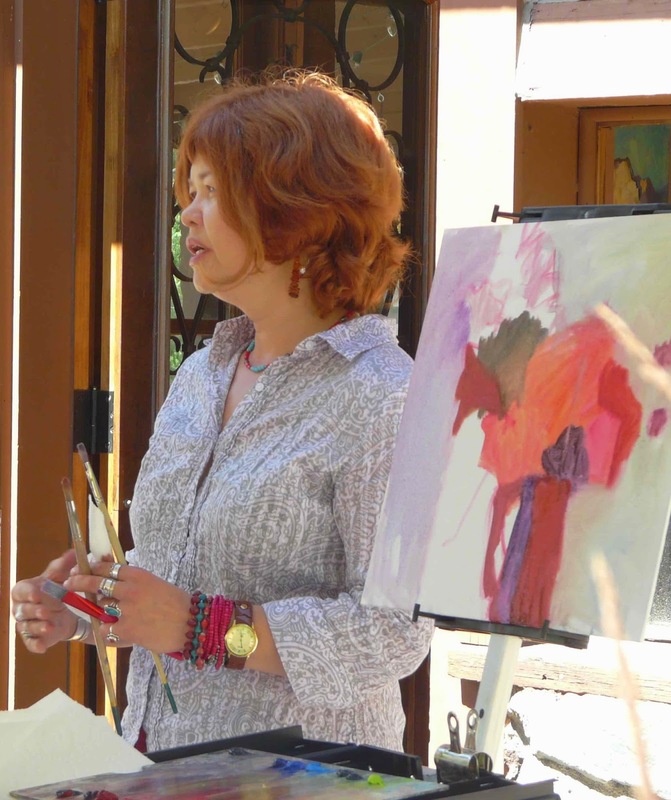 Larisa Aukon gave a painting demonstration at Mirada Fine Art last Saturday. 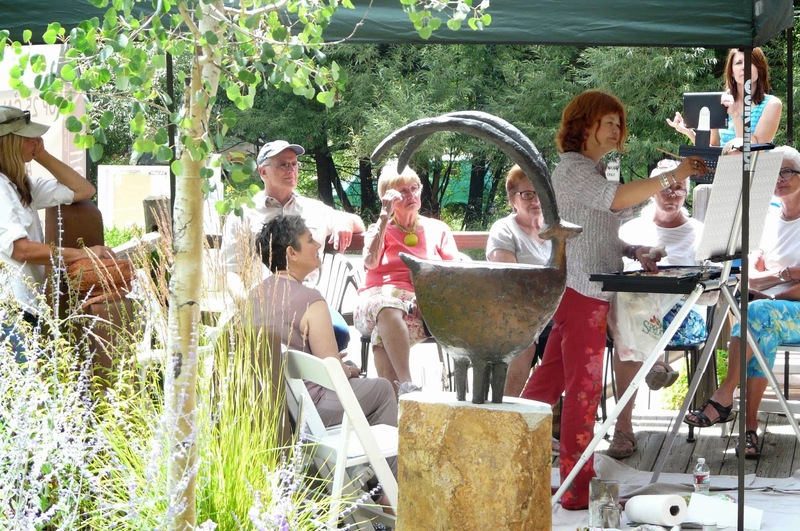 All the attendees were treated to a display of her remarkable talent. 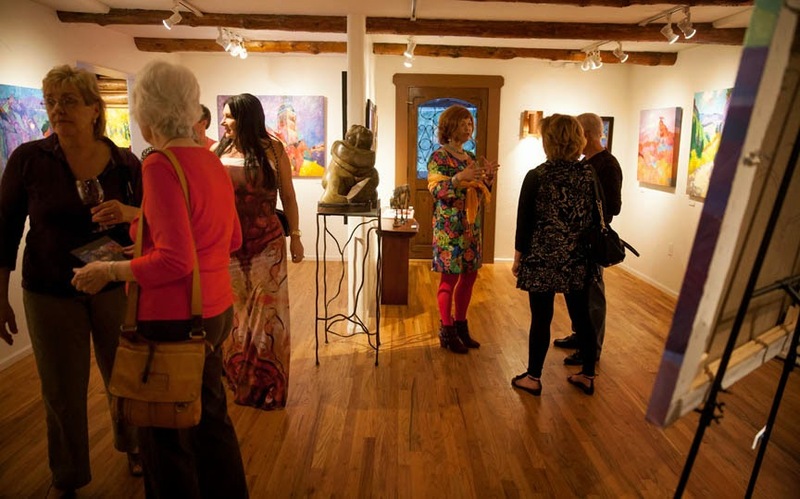 We had an absolutely fantastic opening weekend with her new exhibition at Mirada: 'color of LIFE.' 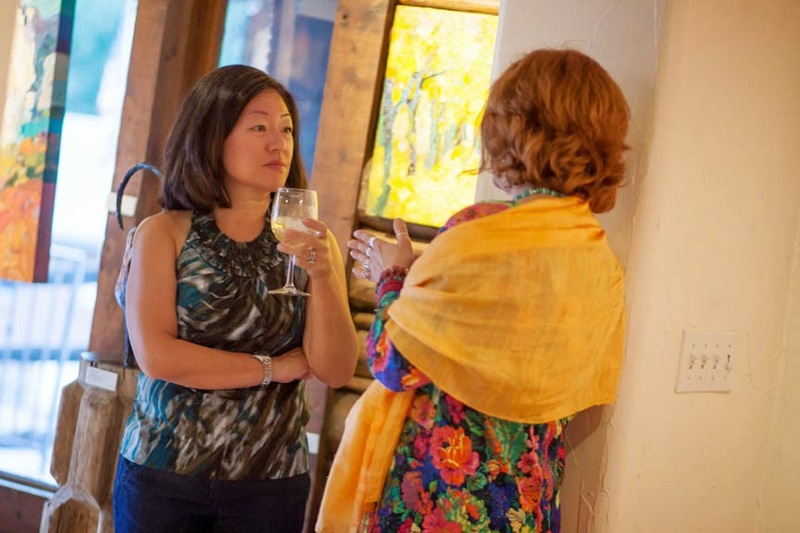 Come on by to check out her vibrant paintings. 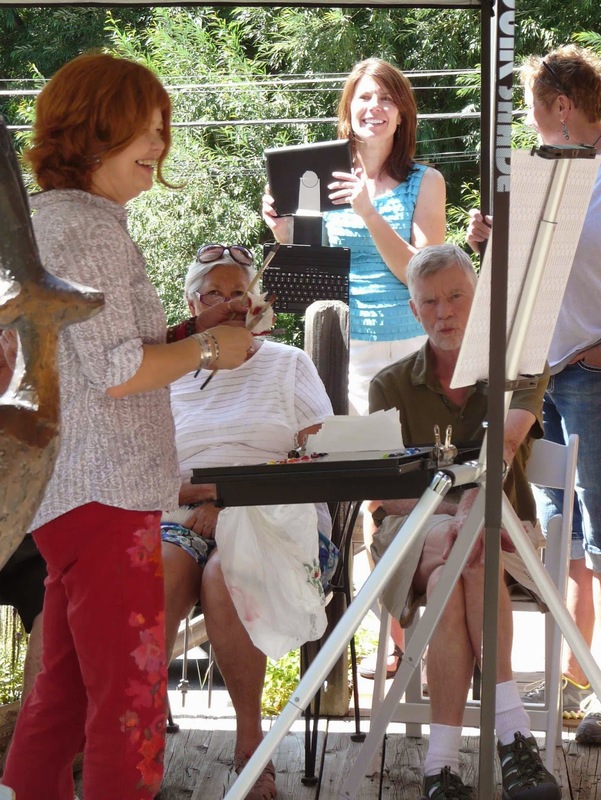 Here are some photos from her demonstration. 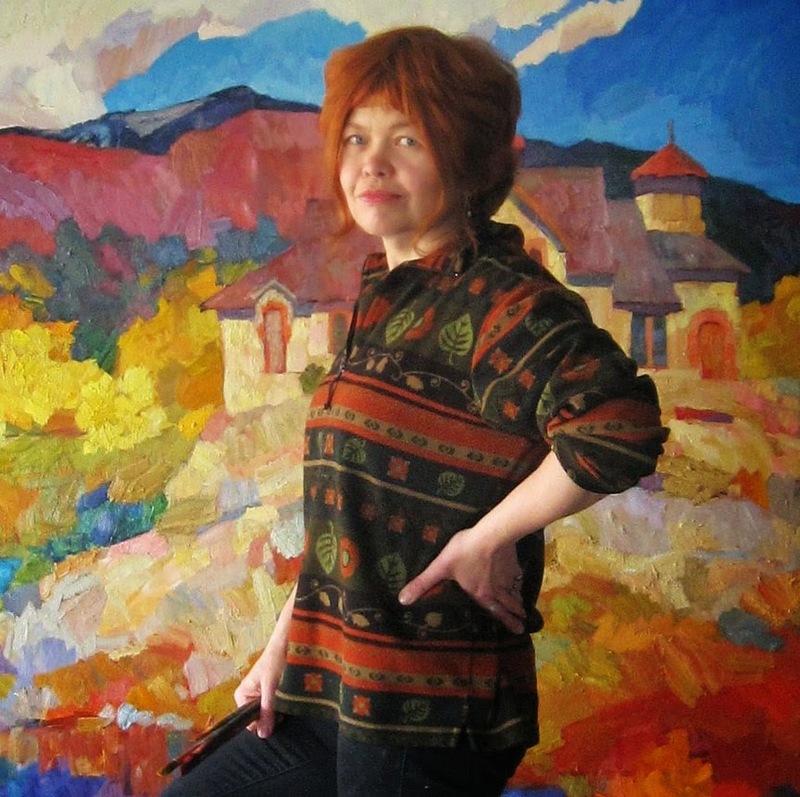 Larisa Aukon painting at Mirada Fine Art, August 16, 2014. 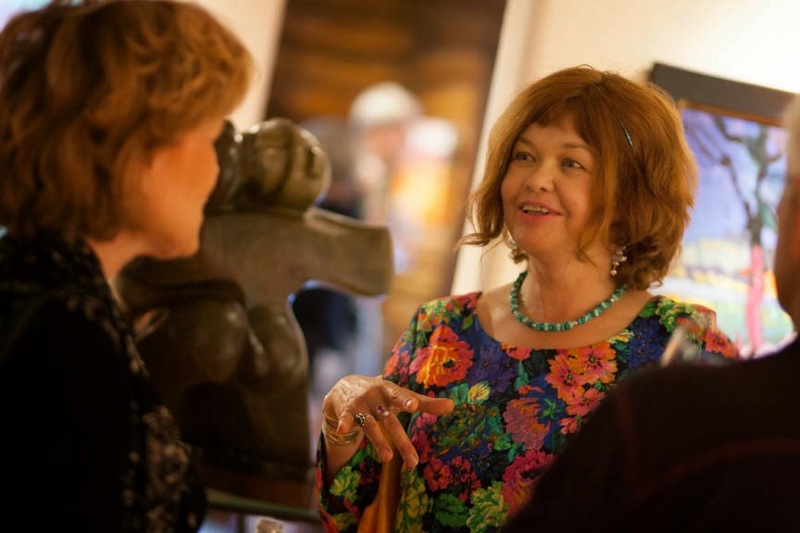 Larisa Aukon discussing her painting technique at Mirada Fine Art, August 16, 2014. 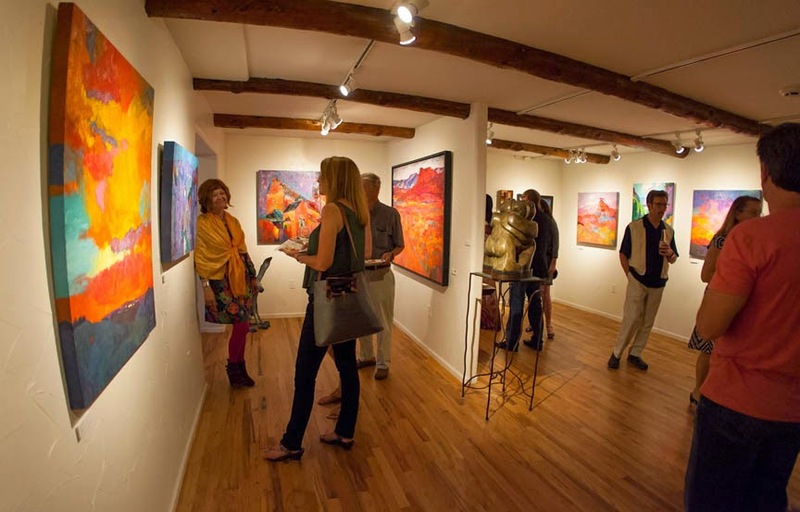 Larisa Aukon at Mirada Fine Art: "color of LIFE"
Bold. Balanced. Beautiful. 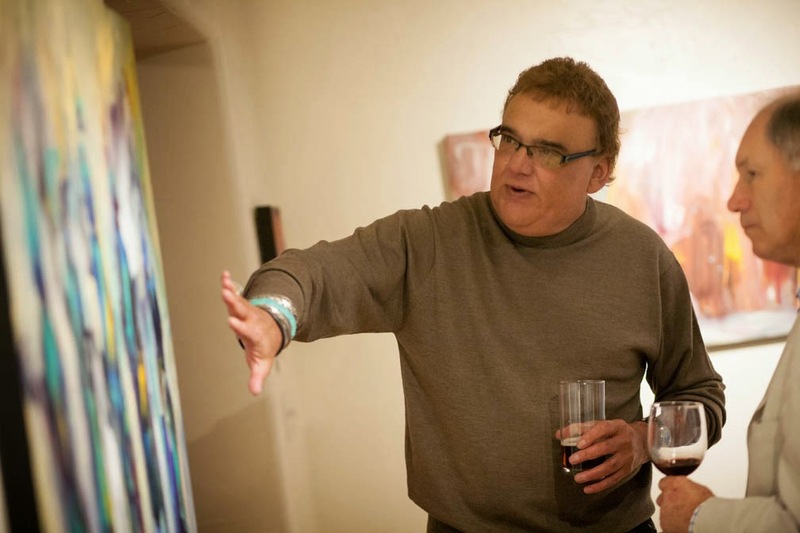 Renowned artist vividly breathes life onto canvasses. 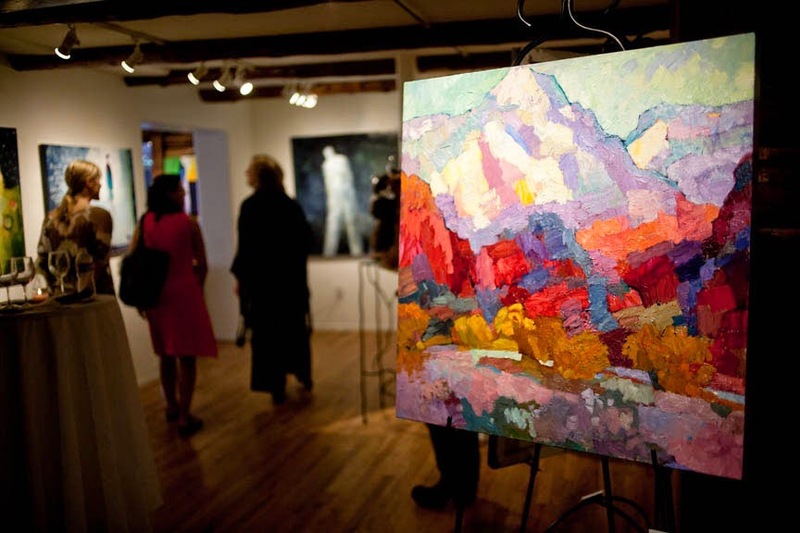 A childhood spent in drab Latvian winters compels artist to enthusiastically embrace the brilliant colors of Colorado and the Southwest. 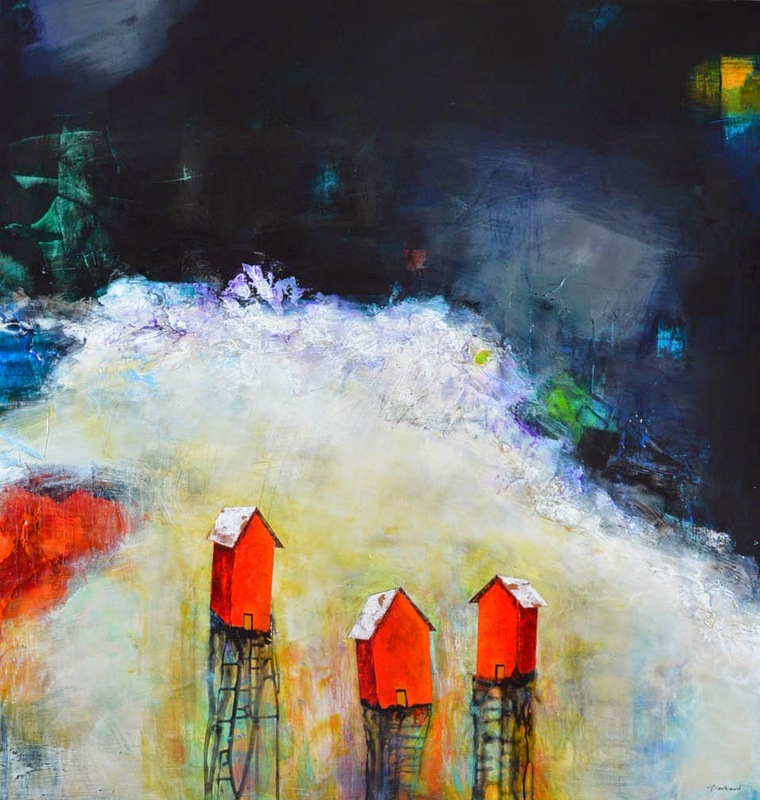 Larisa Aukon at Mirada Fine Art, 'Continental Divide,' Original Oil on Panel, 24" x 36"
Larisa Aukon has become the darling of the fine art world, gathering widespread attention. 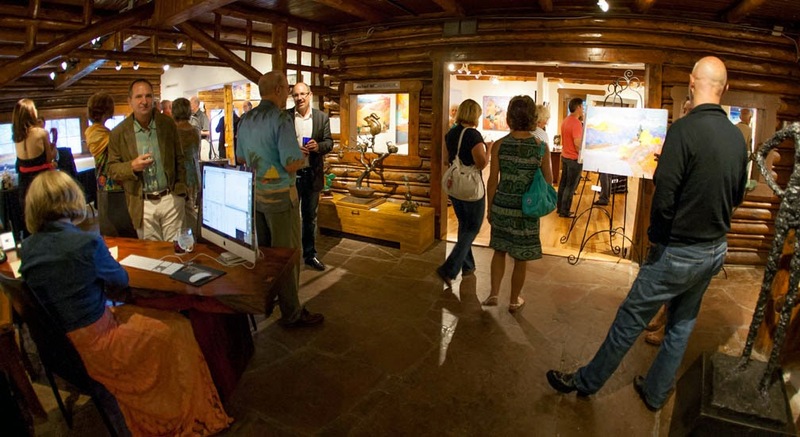 The frequent subject of articles in art and design publications, the enthusiastic painter delights viewers. 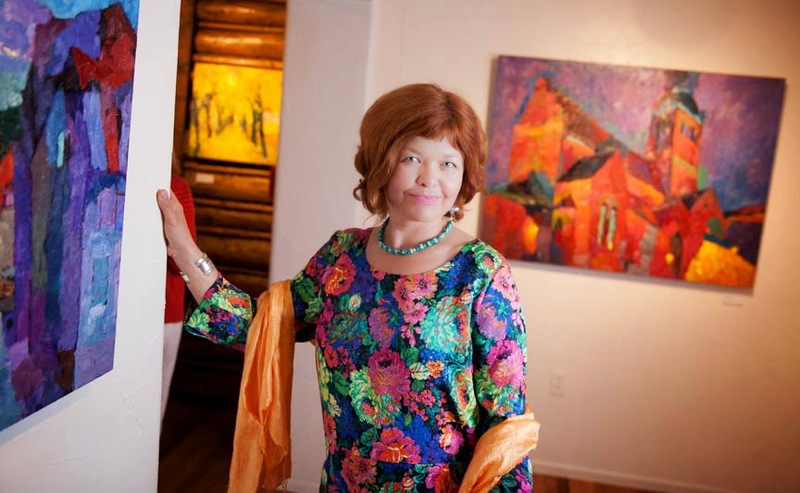 Her work thrums with vivid color and texture, and as Southwest Art Magazine states, “infuses paintings with vibrant rhythm and aliveness—qualities that no doubt contribute to collector interest throughout the U.S. and world.” On Friday, August 15, Colorado art lovers will be treated to Aukon’s brilliant new collection of work, “Color of Life,” presented by Mirada Fine Art Gallery. 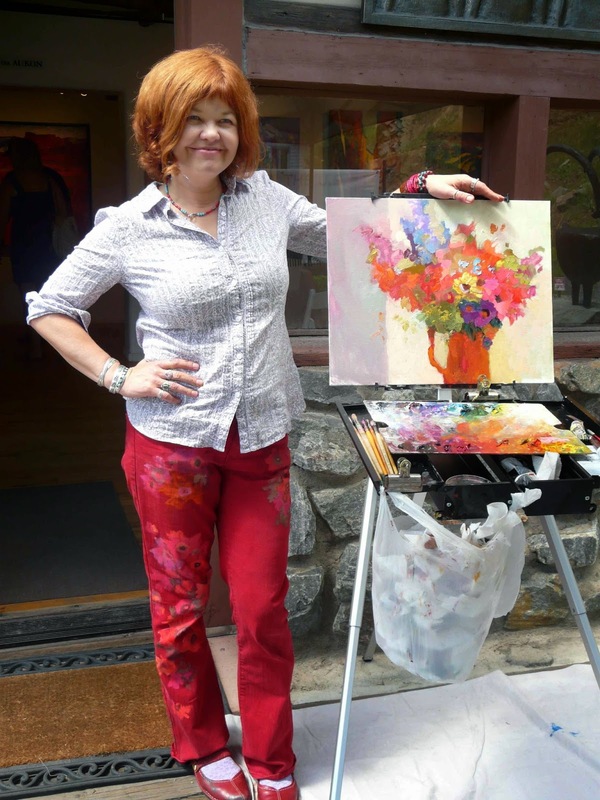 As a delightful bonus, the artist will give a painting demonstration at the gallery the following day from 11am to 2pm. 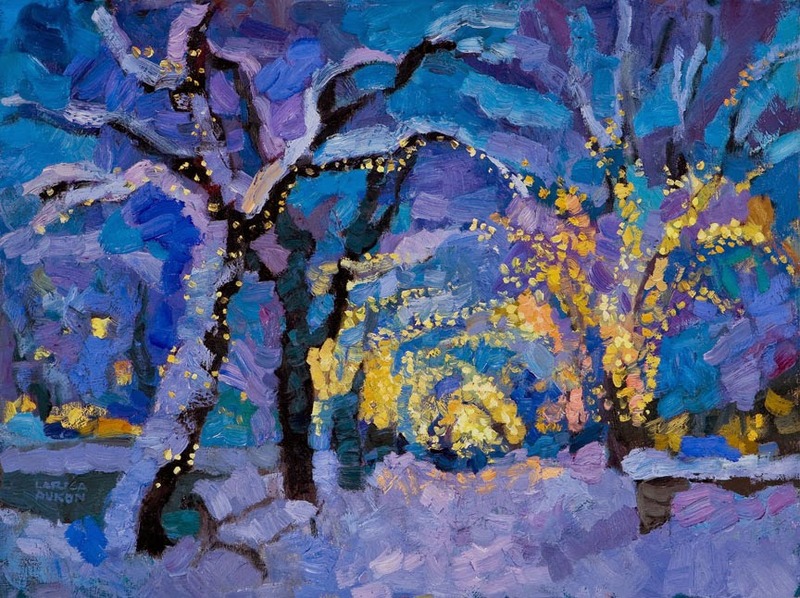 Larisa Aukon at Mirada Fine Art, 'Winter Lights,' Original Oil on Panel, 18" x 24"
While certainly deserved, Aukon’s acclaim has not come without a tremendous amount of dedicated work. 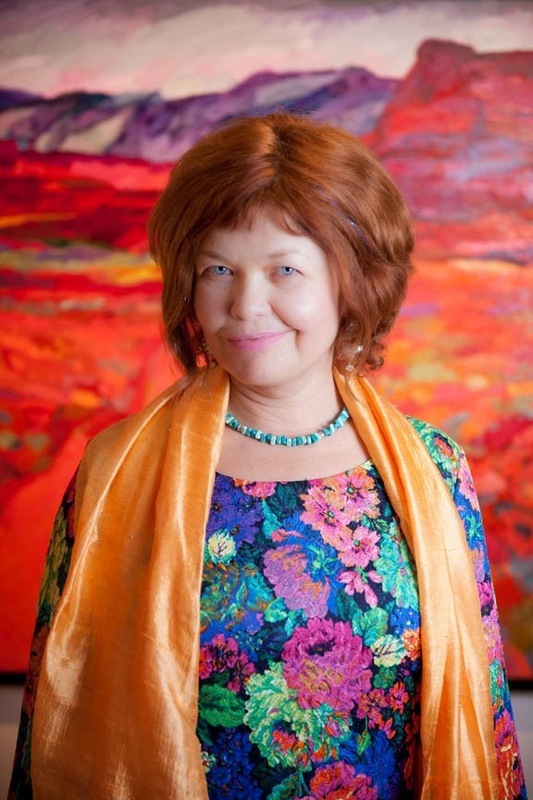 A child prodigy, Larisa attended the prestigious and highly competitive Janis Rosenthal Art School in Riga, Latvia, and continued on to receive her Master’s degree from the Latvian Academy of Fine Arts. An inner compulsion and instinctive connection to the land drew her to the United States. Fifteen years ago, she landed in Arizona where a cousin’s family was living. 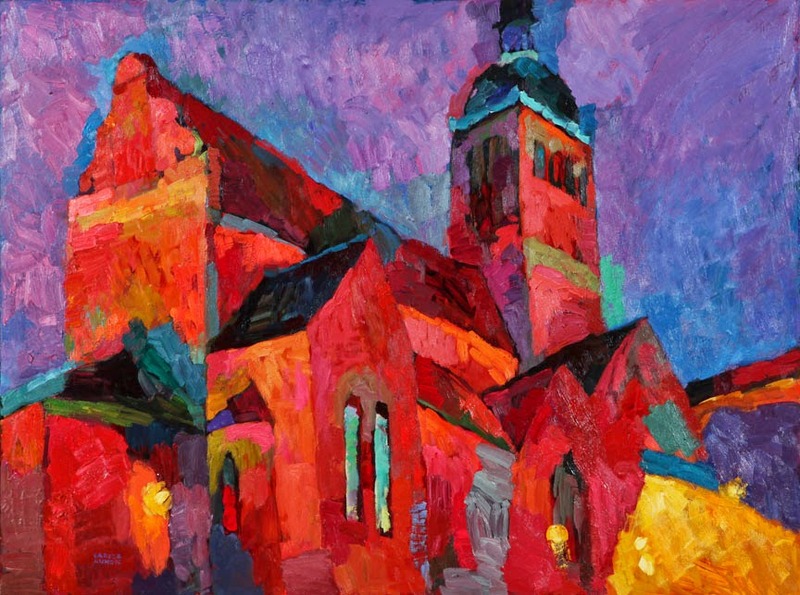 After the relatively monochromatic landscape of her native Baltic region, the American Southwest seemed to Larisa “an explosion of color.” Awestruck, the warm, rich hues and endless panoramas of her adopted home eventually led to the distinctive, light-infused work she now creates. 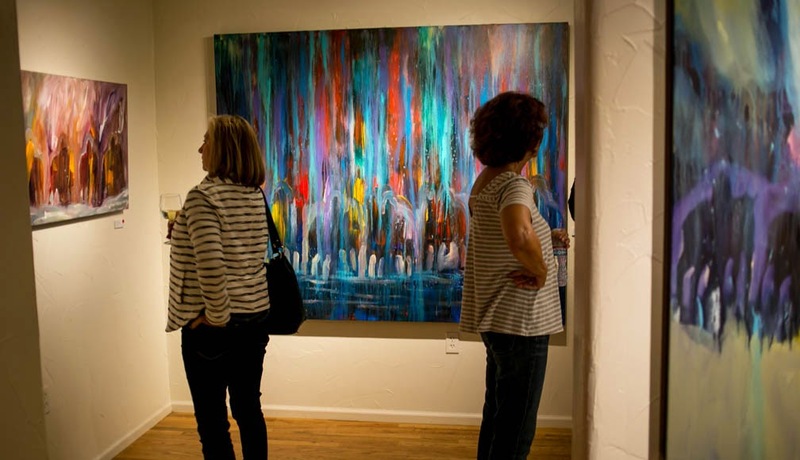 Larisa Aukon at Mirada Fine Art, 'Castle,' Original Oil on Panel, 36" x 48"
The profusion of color led Aukon down a path leading to her current gorgeous style depicting natural and urban landscapes. 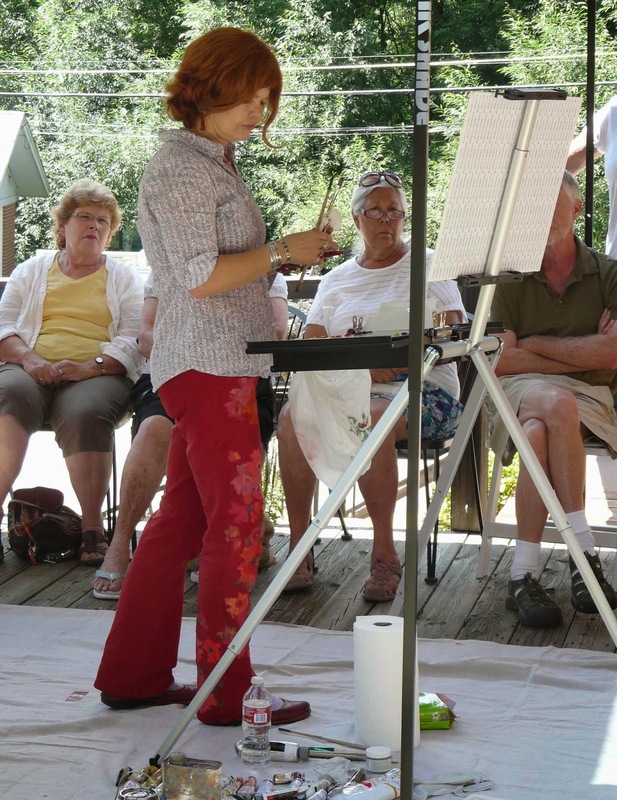 Not technically a plein air artist, she does extensive pencil and color sketches before ever beginning a painting in her studio. 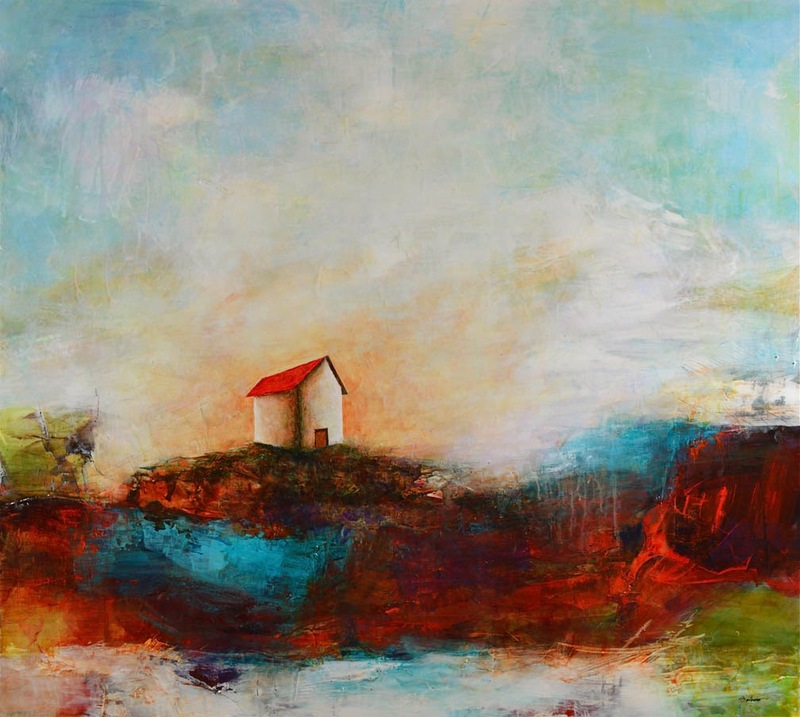 Then she paints…combining impressions, imagination, feelings and memories. 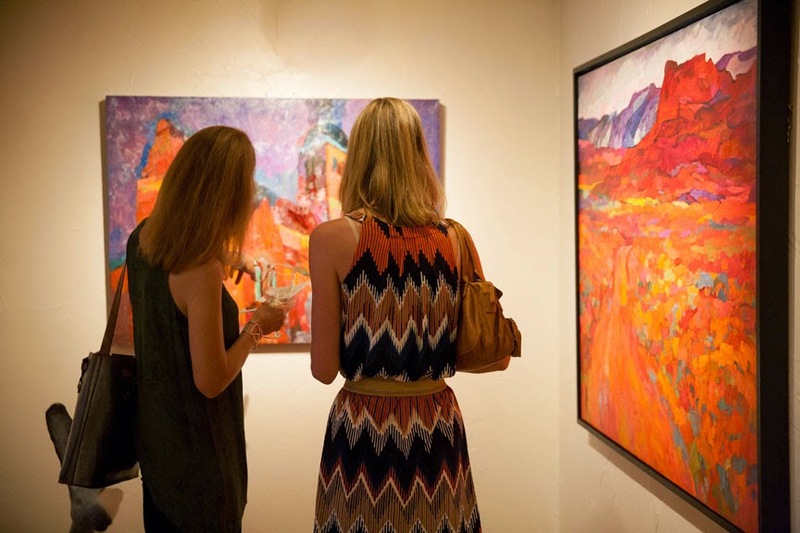 Whether depicting wide open landscapes, narrow streets or snowy nighttime scenes, her powerful strokes of layered color imbued with light and supported by strong composition, will transport you and remind you why we choose to live in Colorado. 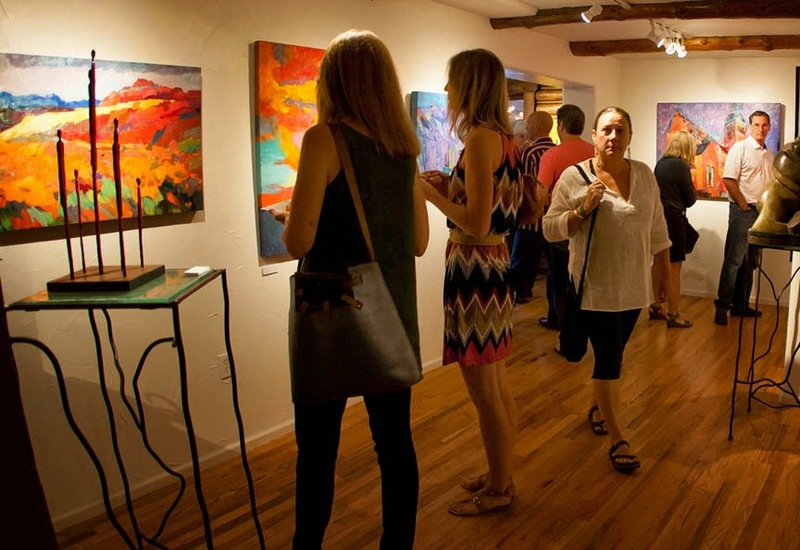 Featured in American Art Collector, Southwest Art and Cowboys and Indians magazines, celebrated artist Larisa Aukon unveils her latest work at an artist reception on August 15 from 6-9pm at Mirada Fine Art Gallery located in Indian Hills on Parmalee Gulch Road off Hwy 285, just 5 miles west of C-470. 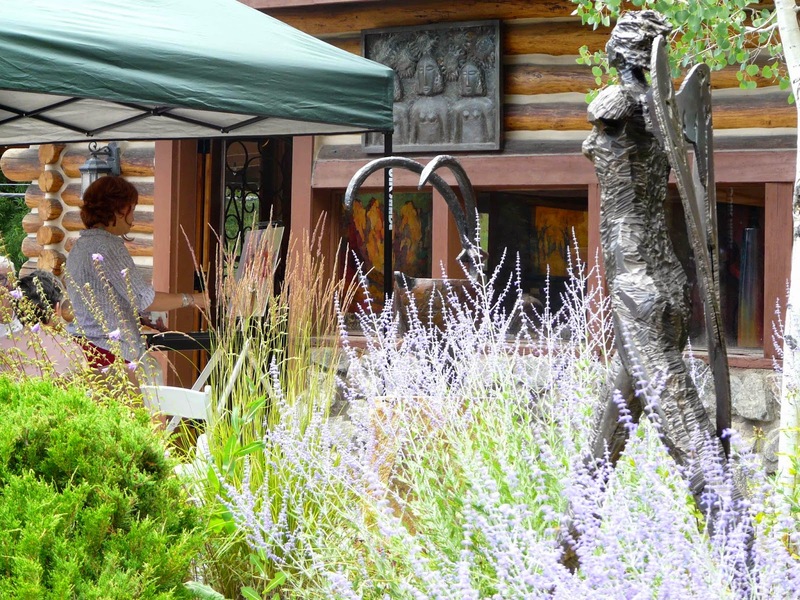 The exhibit will be open August 16 – September 7; a painting demonstration by the artist will be offered Saturday, August 16 from 11am-2pm at the gallery.